Kitchen cabinets can make cooking easy or a hassle. If you’re tired of kitchen cabinets that don’t work like they should, call our kitchen remodeling contractors as soon as possible. The best kitchen cabinets are those that organize your life and elevate interior design. Continue reading to learn our expert tips for buying new kitchen cabinets. To learn more about installing kitchen cabinets, don’t hesitate to give us a call. There’s no point in replacing kitchen cabinets if you’re buying something cheap and low quality. You’re better off saving your money until you’re able to invest in kitchen cabinets that enhance your home and will last for years to come. Our kitchen contractors are able to work with you to create custom cabinetry that complements your lifestyle and design preferences. The kitchen is one of the rooms in your home where you’ll spend the most time. As a result, you’ll want to think carefully about what features will improve your life. For example, a built-in charging station can make it easy to replenish your phone’s battery while preparing dinner. Think about how you use (or would like to use) your kitchen in the long term. For example, you may want storage for wine bottles if you regularly host dinner parties. A kitchen remodeling contractor will be able to help you choose the most helpful cabinet features for your lifestyle. Handles and other hardware can add a lot of character to your kitchen cabinets. Cabinet hardware comes in a wide range of styles for function and beauty. For example, curved cabinet styles are more traditional and usually have more detail. Square cabinet styles, on the other hand, help your kitchen exude a contemporary style. What aesthetic inspires you? 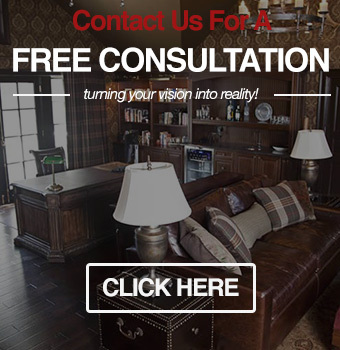 A kitchen remodeling contractor can help you choose the best cabinets for your interior design. If you’re interested in custom cabinetry, we recommend using a site like Pinterest to save your favorite ideas. Are you interested in white kitchen cabinets to make a room seem more spacious and airy? Do you prefer dark kitchen cabinets for a sleek sophisticated style? Knowing the answers to these types of questions will make it easier for you to shop for new kitchen cabinets. Before cabinet installation (or any kitchen remodel) you’ll want to consider the rest of your home’s style. Even if your home doesn’t have an open floor plan, it’s important to think about the transitions between each room. For example, a modern kitchen may clash with a dining room done in a traditional style. Our Oakland County kitchen contractors can help you design and build the best kitchen cabinets for your home. 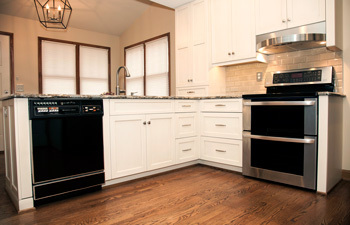 To request your quote for replacing kitchen cabinets, call Visionary Cabinetry & Design at (248) 850-7178. We look forward to hearing from you!